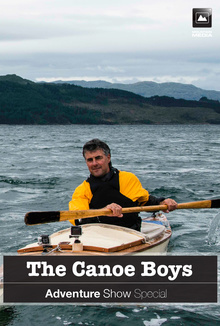 This programme recreates one of the great pioneering journeys of Scottish canoeing. Two exceptional young men set out in primitive boats that captivated the imagination of the whole nation. This programme recreates one of the great pioneering journeys of Scottish canoeing. Over eighty years ago two exceptional young men set out in boats that are a million miles away from today’s hi-tech models to paddle up the west coast of Scotland. Their exploits captivated the imagination of the whole nation and they became known simply as ‘The Canoe Boys’. In this film former professional footballer, Michael Stewart, joins forces with one of Britain’s most experienced kayakers, Brian Wilson. In replica boats made especially for this trip, they tackle some of the country’s most notorious stretches of water and, like the original Canoe Boys, Michael had virtually no experience of this sport.